An injured soldier, Mason Alexander is intent on returning to his unit. His physical wounds have healed, but Mason detaches from emotion, which always equals pain. On his first night as a temporary Santa, he meets his former fiancee's little boy--who longs for a happy Christmas filled with the joy they've both been missing. Mason thinks he can tell Emma what her son wants and remove himself from her life again, but Emma's always touched Mason in ways no one else can. 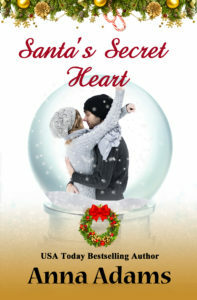 As they deck the halls and make a loving holiday for her boy, Mason finds that Santa has a secret. Emma soon melts his detachment--Emma makes him want to love again. Single mom, Emma Rycroft is anxious to give her son everything he wants--except a new dad. 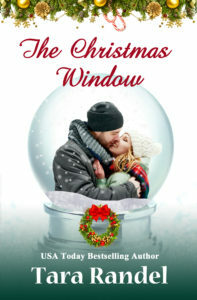 Mason Alexander, the man who once jilted her, is Christmas Town's Santa, and he learns too much about her life when her son asks him only for a happy holiday. Emma doesn't want to share her son or even the season with Mason, but she glimpses the pain he's trying to hide even as he helps her make the holidays special for her child. As they create the magic of happiness for her son, Emma starts believing she might also be happy with this man who can't help sharing his heart. Ten years ago, a car accident killed Mike's mother and paralyzed his father just before Mike graduated high school and left for college. Now he's running the North Pole Lumber Yard, taking care of his father, and trying not to remember the dreams he once had. He doesn't need another responsibility on his plate. He needs to land a big contract with J.B. Homes. But when it seems like Mike's the only person who sees the sadness in Carol's eyes, he can't ignore the need to make her Christmas a merry one. Raised to put the needs of others before her own and let down by the disadvantaged students she teaches in South Philly, Carol returns to Christmas Town for some much needed TLC. But in the days before Christmas, her mother and aunt have Carol volunteering everywhere. And then there's Mike Hopkins, who she might have pushed off the pageant stage while shoveling snow. One broken wrist later and Carol finds herself helping Mike prepare for the annual Christmas Town Pageant. Can Mike's forgiveness and kind smile convince Carol to stay in Christmas Town? Shea is tall and lean with thick black hair and a neatly trimmed beard. He has dark brown eyes and long lashes. Dallas is small all over. She has medium-length hair the color of maple syrup and grayish-green eyes. She wears glasses because she needs them, and has all different frames to coordinate with what she wears. In the blinking holiday lights of Christmas Town, ex-NYC cop Carter Howe is a burned-out bulb. He's lost one best friend and gained another, his senior dog, Boomer, but he's desperate for one more shot with the one who got away. This time, he'll tell the truth. Dara Allen has succumbed to the Christmas sweater phenomenon of her new hometown, but she's determined to fit in while standing out. Running away from a broken heart was bad; facing the guy who'd gotten close enough to hurt her will take every bit of toughness she has. Jace Keller, owner of JKExtreme, is in Christmas Town for the launch of his new sportswear line. The feisty store window designer gives him a run for his money, making him take a much needed step back to reevaluate his life, and love. CeCe Walker, a widow, raising her nephew and working at Dockery’s Department store as a window designer. 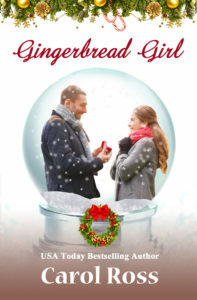 She loved, and lost, once and refuses to share her heart again, until she meets a man who might change her mind this Christmas. This once-burned, twice shy single dad has one thing in mind: his six-year-old daughter Sophie’s wellbeing. 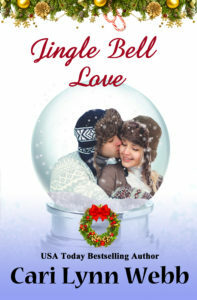 Without his wife, Cam’s no longer one to celebrate Christmas and he certainly doesn’t plan to kiss anyone under the mistletoe. But Cam doesn’t count on meeting the new school guidance counselor. And suddenly, his life isn’t that simple anymore. She has never stayed in one place very long, but Christmas Town has its charms—including Cam McCormack who rehabs old barns. He even has a carriage house apartment for rent that’s perfect for Holly. Then there’s his sweet little girl who badly needs a mom. Still, Holly’s new job here is only another temporary stop along her way. Or could all her dreams of a home and family to call her own come true at last? Winning, succeeding, being the best at everything - these are the things that drive architect Ian Mackey. Winning the contest for the new government building design is more than a career coup for Ian, it’s personal. He adores his juvenile delinquent sister and is determined to set her on the right path. Working beside his childhood friend, teenage crush, and self-imposed rival Kinley Reed while doing it is a painful reminder of what he left behind – and what he truly wants. Despite the bittersweet memories the holiday treat evokes, architect Kinley Reed loves all things gingerbread. Black sheep in her wealthy, over-achieving family, she believes winning a contest that would contract her to design Christmas Town’s new government building will finally earn their respect and elevate her career to the next level. The only thing stopping her is the one man who has always stood in her way and wreaked havoc with her heart. Clancy Gallagher came to Christmas Town six months ago to take over running the Over the River retirement home and care facility. Determined to give the elderly the care and attention his grandfather didn't receive, he hopes the changes he's implementing at Over the River will lead him to what he really wants: his own chain of retirement facilities. But that was before he met Trudy MacIver, her trio of friends, and the shy, funny, and enchanting Hazel, who proves to be an unexpected surprise in so many ways. Hazel MacIver runs of Plum Pudding Cottage, the renowned dollhouse and miniature shop she inherited from her aunt Trudy. Hazel came to live in Christmas Town with her brother after the death of her parents when she was nine. An introvert at heart, Hazel is most comfortable with routine, logic, and numbers. She also works as a book keeper for numerous Christmas Town businesses. While she believes herself happy in her solitude, her friendship with Mattie Davis and her growing relationship with Clancy Gallagher shows her there's more to life than just waking up in the morning: there's life to live! Boyd Austin has hated Christmas since his father walked out on the family on Christmas Eve when he was nine years old. He comes to Christmas Town to debunk the myths that have made it such a popular tourist attraction and to prove to everyone that Christmas magic doesn't exist. 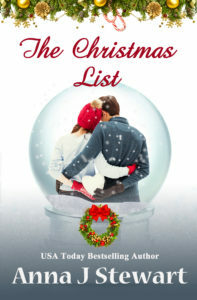 He expects it to be easy, until he meets a certain Christmas Town resident who's bound and determined to prove him wrong. Clara Burke is doing everything she can to keep Christmas Town tourism thriving. 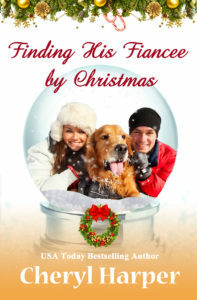 After a bit of a mishap with a horse-drawn carriage, she thinks she's met the perfect guy to help her get the word out about the joys of Christmas Town. Only Boyd Austin isn't who she thinks he is. 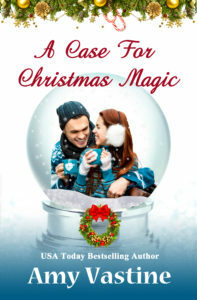 She's got to convince him Christmas magic exists before he tries to take down her town and costs her her job. Physical Therapist, Pete Ford, plans to help his parents retire by purchasing his grandmother’s 100-year old Victorian house and farm to keep the land in the family like everyone expects. But Pete firmly believes Spring belongs to coaching the high school rugby team rather than preparing for the blueberry harvest. If only he can listen to his heart, he might discover it’s possible to have everything. Mattie Davis plans to travel around the US and live without regrets unlike her Grandfather, who died listing everything he’d failed to do. With the money from her extra temp jobs, Mattie finally has the cash to buy an RV and head out of Christmas Town for good. But if Mattie can stop working long enough to look around, she just might realize her greatest adventure waits right in her hometown.